AI Summit, in New York, on the 6th of December. CEO Ben Goertzel will give a keynote. 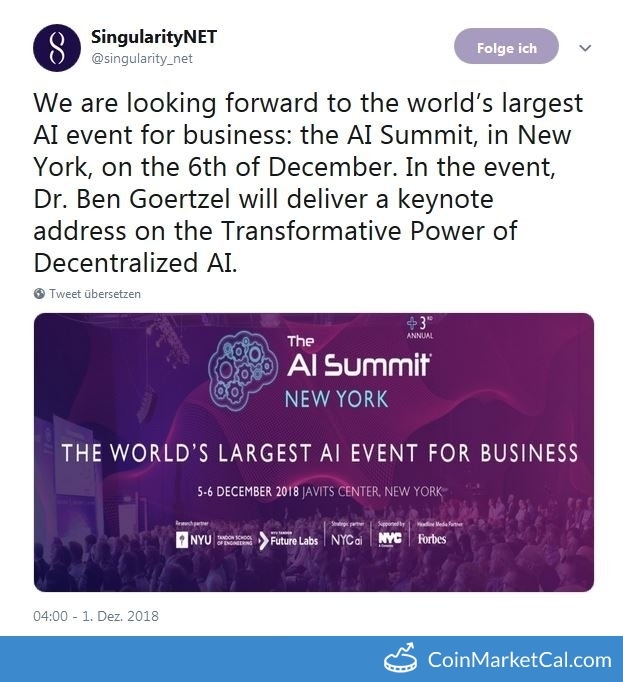 CEO at AI World Summit NY is a Conference event of SingularityNET (AGI) which was added in CryptoCrawl's database on Dec 4, 2018, According to our source CEO at AI World Summit NY will happen on 06 Dec 2018. For your reference, source and proof of CEO at AI World Summit NY has been attached below.